I’m quoted in this MSN story, When Bucket-list Travel Goes Horribly Wrong, even though our family trip to Ethiopia two years ago was pretty awesome; we just had a hilariously bad hotel. The piece includes a link to an essay I wrote about the experience for The Week. I can’t wait to read KJ Dell’Antonia’s new book, How to Be a Happier Parent! And I just found out that I’m quoted in the book, though I’m not sure about what. Pasta, maybe? Because pasta is happiness. Writer Sara Robinson put together a great round up of Insider Tips for Successful Freelancing from working writers. Check out my advice, plus more great insights at the link. 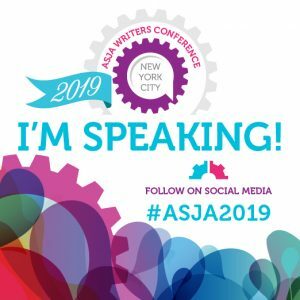 Join Rudri Bhatt Patel, Jenn Morson, Julie Vick and me May 5 – 6 at ASJA 2019. We’ll present Growing a Freelance Career Along With Your Kids. We’ll share tips on juggling career and family, and discuss how to find writing inspiration right at home! This is a Monday lunch and learn session. My friend, writer Kira Jane Buxton, and I will be heading to Northern California for a writing workshop with the goddesses Cheryl Strayed and Elizabeth Gilbert. See you there? If you’re an aspiring writer, we’ll show you how crafting the right pitch will land you bylines in coveted places. We’ll share actual pitches that worked and explain how we approached editors from The New York Times, The Washington Post, Brain, Child, Saveur, and other high-profile outlets. Come join us! I can’t wait for summer, especially the Sonoma County Writers Camp in August! The event, founded by accomplished writers Ellen Sussman and Elizabeth Stark, features craft talks, writing time, panel discussions, and the chance to meet editors and agents in a relaxed, intimate setting. I’ve volunteered to share details about my successful agent search during one of the sessions. I’m excited to join fellow writers Candy Arrington, Dorri Olds, and Rudri Patel for a panel discussion on “Tackling Tough Topics” at this year’s Association of Journalists and Authors Conference. What’s our session all about? Though many writers feel compelled to write about a difficult life circumstance, loss, or grief, it’s important to know how to structure content, what to include and what to omit. In writing tough topics, you have the opportunity to reach those who are hurting, feel alienated and alone, and are searching for ways to heal their pain. No matter what the situation, there are common threads that reach across gender, cultural, and ethical barriers to foster hope and healing…Learn methods to craft your tough topic by using the power of story, providing practical suggestions for coping and moving forward, and writing with a level of transparency that touches hearts and inspires hope. This session will be offered Saturday, May 6, which is Non-members Day at the conference. If you’re just getting started as a writer, the Saturday workshops should be inspiring and informative. 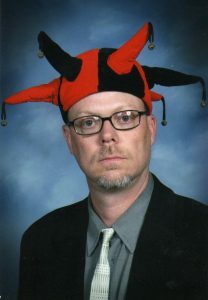 So this joker is my website designer, tech advisor, and friend since the 5th grade, Jason Sikes. We just added this news/event page to the site and he stuck his birthday in as a test/placeholder, but I’m just gonna to leave it right here and give him a moment of glory. If you need a website built, check out his work at Village Green Studios. In February I’m heading to New Orleans for my first-ever press trip! 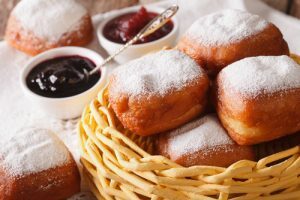 I’ll be joining a group of food/travel writers and editors for parades, cooking demos, and food tours in the week before Mardi Gras, and writing all about it.